There have two bicycle recalls this week, both of which pose fall hazards. Yesterday, the U.S. Consumer Product Safety Commission, announced a voluntary recall of specific bicycles from Bridgeway International and Specialized Bicycle Components, Inc. Specialized Bicycle Components has recalled certain bicycles that are equipped with Advanced Group carbon forks. The recall affects approximately 14,200 bicycles. 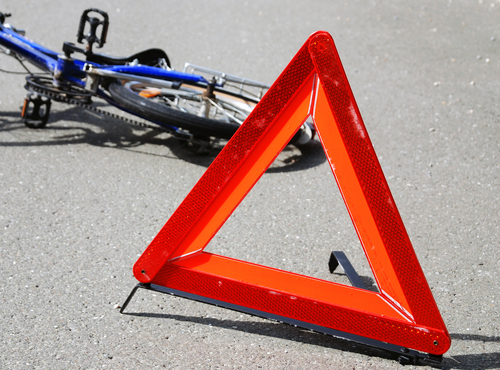 There have been two reported instances involving the bicycles brakes. The brake component, housed within the bicycle’s carbon fork, can disengage from the fork and allow the brake assembly to contact the wheel spokes while rotating, thus posing a fall hazard. All bicycles involved in the recall have the brand name “Specialized” on the lower front frame tube. The model name is on the top tube. These bicycles were sold at authorized specialized retailers nationwide, and were sold between June 2010 and August 2011. These bicycles range in price between $700 and $2,000. Consumers who own one of the recalled bicycles are encouraged to immediately stop riding these bicycles, and return them to an authorized Specialized retailer for a free repair or replacement carbon fork. The next recall, also due to concerns with a fall hazard, affects bicycles by Bridgeway International. There have been reports that it is possible for the bicycle chain to break, causing the rider to lose control and fall. This recall affects the men’s 26″ hybrid “NEXT Power X” bicycles. The bicycles are red or orange, with “Power X” and “Suspension” printed on the frame. Model numbers 611M and LBH2611M2 are included in this recall. The model number is located on the frame between the pedals. These bicycles were sold at Walmart stores between February 2011 and July 2011, and retailed for approximately $100. Consumers should immediately stop using the recalled bicycle and contact the company for a free repair. While there have been no injuries reported with the Specialized Bicycle Components recall, the Bridgeway recall is associated with nine reports of injuries including lacerations and contusions (cuts and bruises). Eight-five percent of bicycle deaths are persons 16 and older. Most people killed suffer injuries exactly where you would expect: in the head. This underscores the obvious – wear a bicycle helmet. Ninety-five percent of the bicyclists killed in 2006 reportedly weren’t wearing a helmet. In June of this year, we told you of a recall by Bell of their Sports Exodus Full-Face Bicycle Motocross Helmets. They were subject to a recall because the plastic release buckle on the helmet, that connects the chin straps, posed a risk of separating, causing the helmet to eject from the user’s head. At that time, I reported that Bell’s website mentioned nothing of the recall. It appears as if they have since posted the recall….I wonder, did they read my blog or just decide on their own to apply common sense?